Have you ever experienced the stress that comes with a lost /stolen phone and wondered if there was a simple yet effective way to track your smartphone? Google now has a solution for you, and it is as simple as it gets. If you wish to pinpoint the exact location of your Android phone, all you need to do is visit Google and type “find my phone”. The Android Device Manager will then show you the exact location of your device and a host of other useful features as well. In the search results page that opens up, you will see the exact location of your connected device(s) on a map. This feature is sure to be of immense use to anyone who owns an Android smartphone and it can also be used to track family members at any point of time during the day. As of now, this tool is only available in English but its functionality is expected to reach out to other native languages in the near future as well. In addition to showing the location of the device on a map, the feature also allows you to ring the device. This allows you to locate your Android if it is in your room and you just can’t seem to find it. Another benefit of this feature is that your device GPS does not need to be switched on in order to make this feature work. However, the device does need an active data plan or Wi-Fi connection for this. Android users can also setup a Lock and Erase functionality via the Android Device Manager interface. With the help of these functions, the device can be erased of all confidential data and can be locked remotely as well. Subsequently, the device can only be unlocked with the help of a preset password. Indeed, this is a great feature for parental control measures as well as parents of young children can now easily see the location of their kids with a simple Google search. Needless to say, it is never enough to rely on such features of one service alone. It is always advisable to use multiple services for the same function, especially when the device in concern is your smartphone. Possibly, there is a lot of sensitive within your smartphone that you just don’t want falling in the wrong hands. For this purpose, you can also use Mobile Security or Total Security for Android to locate your lost device. This and other anti-theft features can easily be accessed via the Remote Device Management (RDM) account that can be setup within seconds. With all these security protocols in place, locating a lost or stolen device is now easier than ever. We have to login to our gmail account? Yes you will need to sign in to your account. As your Gmail ID is linked with your Android smartphone. Its a great! Please publish how to use! step by step with more details. Thanks for the feedback. We’ll soon be sharing a detailed step by step guide on how to use this feature. However, all you need to do is go to Google, sign in and type “find my phone” in the search box. Can you share some more details about the exact issue that you are facing with regards to your phone. Some thieves may not be aware of this functionality and may keep the phone switched on. Nice information. Thank you sir . Hi Friends, I Have lost my mobile today at Pune, Maharastra . i am confused how to identify my phone. My Phone SOny Xperia Z.Pls suggest how to track and find back. You can try using this Google feature. Else, if you had some anti-theft feature set up then you can use that to track your phone. If not, then it will be very hard to figure out the location of your device. We hope you are able to retrieve your phone successfully as soon as possible. This is wrong. This entire thing doesn’t work if the gps of the phone you want to find is turned off. Please don’t misguide. This feature has been tested by us and it needs an active web connection. The GPS does not need to be switched on. We apologize if you feel misguided. Can you please shed some light on the exact nature of the issue you are facing? Does Quickheal offer this service automatically when I install Total Security, or do I have to register separately? This service can be accessed in the settings of your app. You will need to activate it from there, but the feature is available for your use once you set it up. Try connecting your phone to the net via mobile data or Wi-Fi. Then when you conduct this search, it should work. Is there any cost involved. and how do I download this app. on my phone. No there is no cost involved. And you do not need to download any app for this. You just need to sign in to your Google account to make this work. Though these features are helpul but I tried it with net connection OFF and it did not work. Moreover we dont know if it will work when the SIM is changed which is what the thief will do immidiately after staling the phone.We definetly don’t expect the thief to keep the Net on. There is still no technology that can track phones when the Internet is turned off or when the SIM card is changed. However, this is a useful feature that can come in handy under certain situations only. It does have its limitations. you give that lost of phone and we have find from google crome it doing work yes or no !! You can use any browser for this as long as you are signed in to your Google account. This is very useful info. given by you. Can you please tell how I can locate when on my account two device shown,out of which 1 device i want to locate which was lost. When the search result comes up, you will see a drop-down arrow in the top right corner. Clicking on that will show your various registered devices. Very useful info tysm buddy .. ! Unfortunately, we cannot track lost mobile phones in this manner. You will need to approach your local police station or your network service provider for this purpose. ALL ssid and done – FINE..
normally thief or person who finds it, will not activate the phone, will make it “DEAD” by removing battery and sim card. secondly, it will be sent in quarantine by the gang, to keep it off. Third, to login in to your google account, with your mobile android google id, you need same device, as in this pc the id and password is not stored, where as google account recognises your account and device too. EVEN IF IT IS ACTIVE AND YOU CAN LOCATE WHERE YOUR PHONE IS, EVEN POLICE CANT HELP, WITH THEIR HELP LINE NO.. POLICE HAVE ENOUGH WORK WITH MANY BIGGER CRIMES AND PETTY CRIMES, THEY JUST TAKE FIR AND ISSUE SOME CERTIFICATE .. OVER.. Such a precious information many many thanks for that. I have lost my mobaile on 30th appril 2015 at dhanbad railway station in jharkhand. so plese you help me how to identify my android mobaile LG D335. Unfortunately, we cannot help you out with this. You will need to approach your local police station or network service provider for this. This is really useful information! Thanks for sharing. sir , can u please tell me …can we only find the location of our phone only? or can it be used to find the location of other phones of our family . This service can be used to find other Android devices as well. However, those devices must be linked to the same Google account as yours through the Android Device Manager. Have you tried following the instructions mentioned in the blog post? dude wat if the phone is swithed off???? it doesnt work den. There is still no technology that can track phones when the Internet is turned off or when the SIM card is changed or when the phone is turned off. However, this is a useful feature that can come in handy under certain situations only. It does have its limitations. Can you check if you have signed in to your Google account when you carry out this search and also ensure that your Google account is linked with your Android smartphone. this app should be installed in my smartphone ? You do not need to install a standalone app for this purpose. Every Android phone is linked with a Google account so that is enough for this feature. and if being lost the smartphone, can search on my pc ? Yes, if your smartphone is lost you can search for it on your PC through this method. This feature is very good. But I am concerned about the privacy and security of oneself. With this anyone can track us or keep a watch on us. Is there any feature which will allow me to be invisible to others.? If someone gets access to your Google account, then they can see your location through this feature. This information has always been collected by Google anyway, it is only now that they are allowing users to make use of this feature. To ensure your privacy remains uncompromised, keep your password safe and use a strong password that is very difficult to crack. if i want to one of my family member location, tell me procedure. What you will need to do is first affiliate your Google account on that particular Android phone. Then you can use this feature to locate that phone specifically. 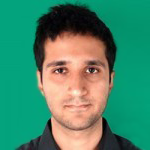 XOLO Q3000 IS NOT ADDED IN QUICK HEAL TOTAL SECURITY FOR SCAN REQUEST SENT BUT NOT ADDED . After the factory settings have been restored, unfortunately these features will not function. There is no technology in place yet that allows devices to be tracked beyond this point, so there isn’t much that can be done beyond a certain point. Apologies for the inconvenience. somebody has stolen my phone so can i find my phone. Yes you can log in to your Google account and try searching for it in this manner. It may work unless the phone is switched off. You simply need to log in to your Google account on your PC and then type “find my phone” in the Google search box for this. Of course, you need to have an active Android phone that is linked to your Google account for this to function. But this service works only when your phone is connected to internet. Right? Yes your phone needs to have an active Internet connection for this service to work. Have you tried this method to locate your phone? Also, do you have the Quick Heal app installed on it with the anti-theft features enabled? If so, then it probably can be found. If not, then it would be extremely difficult to locate your device. System Fully Worked bt location not show perfect.. I have quick heal anti virus in my yu yuphoria. How can I track my phone if it get stolen. Is it necessary to switch on GPS system always? If yes thaen which mode ie either high accuracy or battery saving or device only mode. You can use the Google search feature here that is mentioned in this blog post. For this feature to work, the GPS need not be on. But the phone does need an active Internet connection. This will eat up more battery for sure, but it is a safety measure that can be very useful in case of loss. We are very sorry to know this. Unfortunately, without these two features on, it will be very hard to track your phone. 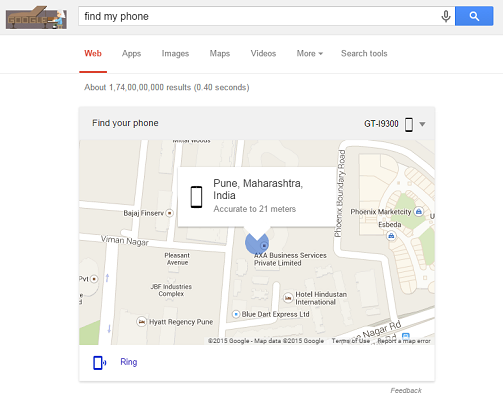 Try the Google Find my Phone feature as mentioned in this post. If you also had some anti-theft features set up, it may help. Apart from that, it may be tough to track the phone down. May we suggest you get an insurance policy with an expensive phone the next time, just as a precaution. All the best for your search. My mobile lost in west Bengal. I have lost my phone LeTV le2 in kazan and i am from India and my every contact and all are in the phone my gmail accont is on in the phone but the one who got the phone has turned it switched off and i am not able to track it through Android device manager so can you please help me find my cellphone please it is very much important for me i am not able to contact my home please help me.